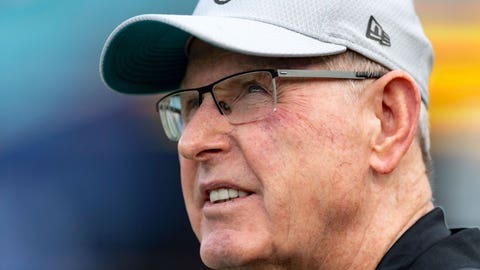 Tom Coughlin recognizes that NFL rules favor passing and insists he understands "what the public wants." He stood by the offseason moves based on how last year ended. The Jaguars advanced to the AFC championship game at New England and had a 10-point lead in the fourth quarter before stumbling down the stretch. One of the key plays was linebacker Myles Jack‘s fumble recovery, which officials blew dead and eliminated a potential touchdown return.